Published: Dec. 30, 2013 at 11:47 a.m. Updated: Jan. 1, 2014 at 02:08 p.m. Sometimes, it's OK to be both really, really lucky -- and also good. Meet your 2013 San Diego Chargers, who earned a trip to the playoffs with a little -- who am I kidding, a lot -- of help from a variety of friends. After getting by with said help to nab the AFC's No. 6 seed, the Bolts could be dangerous, landing a solid matchup (and maybe match-ups) this January. And they'll know exactly where to send their thank-you cards. Yes, the Chargers needed to win. But they also needed the Dolphins to lose -- so Rex Ryan and the Jets will get a gift basket for knocking off the Fins in Miami. San Diego needed the Ravens to fall -- and the defending champs were bounced in Cincy. Then, as if the football gods were smiling on sunny San Diego, Kansas City coach Andy Reid, knowing that his team had its playoff spot locked down despite getting beaten up in Week 16 by the Colts, oddly decided to rest his starters vs. the Bolts. No Jamaal Charles. No Alex Smith. No key defenders suiting up for "the Chiefs." All Mike McCoy's squad had to do was beat Chase Daniel at home. Truth be told, K.C. 's backups inexplicably outplayed the Chargers in the game that allowed San Diego to join the playoff party. It was relatively stunning -- and, frankly, unacceptable. Still, Chargers fans -- kicked around, tormented and Norved throughout the years -- don't care about the aesthetic quality. They've been on the other side. They know they got a win, plain and simple. Kansas City's kicker, the normally reliable Ryan Succop, missed a game-winning field-goal attempt from 41 yards out with eight seconds to go. Of course he did. That moment defined the zaniness of the game, of Week 17, and of the amazing 2013 NFL season. will re-air the San Diego Chargers' 27-24 win over the Kansas City Chiefs from Week 17 on Tuesday, Dec. 30 at 4:30 p.m. ET. And the wackiness had just begun. 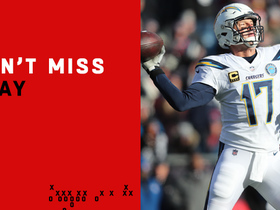 In overtime, Eric Weddle audibled for a fake punt from the Chargers' 28-yard line, a stunning decision. Weddle appeared to lose the ball and Kansas City subsequently returned it for what seemed like a game-ending touchdown -- only to have the turnover wiped away by referee Bill Leavy, who ruled that Weddle had gained the first down before his forward progress had stopped. I thought it was forward progress, but it was never fully explained by Leavy. 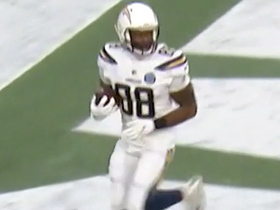 Regardless, the Chargers were still alive -- and they went on to take the lead for good on the drive. That play and the missed field-goal attempt will be talked about in Pittsburgh for a long time, as the Steelers, who trounced the Browns, would have made it to the playoffs with a Chargers loss. Steelers fans will not take heart in Monday morning's admission by the NFL that San Diego should have incurred an illegal-formation penalty on the kick, meaning Kansas City should have been given a chance to boot it again from 36 yards out. Confusing? Controversial? Convoluted? You bet. The Chargers will take it. Send thank-you cards to Succop and Leavy. Yes, the ride in Week 17 was wild. But for the good of the playoffs, the right team made it to the dance. San Diego earned it. Philip Rivers regained his elite status this year. Ryan Mathews eradicated the label of "bust" along with the accompanying stench, joining Rivers as part of a combo that the Chargers -- the flawed Chargers -- might be able to ride to another win or two. Overshadowed in the AFC West by the genius of Peyton Manning, Rivers' outstanding 2013 campaign flew under the radar. 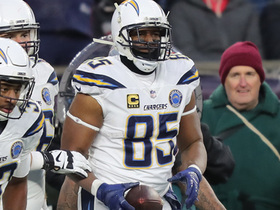 Coming off a dreadful, interception-filled two-year stretch, Rivers threw for 4,478 yards and 32 touchdowns -- fifth- and fourth-best in the NFL, respectively -- against just 11 picks, completing 69.5 percent of his passes. That was a tremendous season and turnaround, for which Rivers deserves credit -- and McCoy and offensive coordinator Ken Whisenhunt deserve praise. Speaking of credit, Mathews should get some for providing needed balance, rumbling for 1,255 yards after limping to just 707 in 2012. Remember, this is the combination that protected the ball, controlled the clock and shocked the Broncos in Denver on NFL Network a few weeks ago. And this duo should cause problems for the Bengals when Cincinnati faces the Chargers in the wild-card round this weekend, despite a Cincy defense that is superbly coached by coordinator Mike Zimmer. Yes, I know the Bengals are dominant and unblemished at home. I also know San Diego won in Denver. And I know, as I have written before, that, a strong regular season aside, I won't trust Bengals QB Andy Dalton or coach Marvin Lewis in the playoffs or pick them to win a game until I actually see it happen. Let's be honest. Which quarterback would you put your faith in: Dalton or Rivers? Through two career playoff games, Dalton has zero touchdowns against four picks. Remember, if Dalton had hit A.J. Green in Houston last year, Green would still be running and Cincy would have won. If (when) the Chargers top the Bengals, the Bolts will face Denver in the divisional round. McCoy, a former Broncos offensive coordinator, knows Manning and the Broncos very well, as evidenced by the upset special earlier this season. All the pressure in such a matchup would be on Manning. 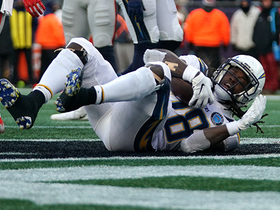 Sunday's heart-stopping insanity made it a quintessential day for Chargers fans, right? This team has looked brilliant this year -- and it's also had mind-numbing losses to the Raiders and Titans. Nothing was worse than the excruciating overtime defeat to the lowly Redskins in early November, a game that featured play-calling and execution from the 1-yard line in the dwindling moments of regulation that was straight out of the Norv Turner playbook. Ultimately, though, San Diego was better than Baltimore, Miami and Pittsburgh. The Chargers have more upside. And McCoy, who has been fantastic overall in his first year as an NFL head coach, has the matchup he needs. The Bolts should beat the Bengals -- and I think they will. Again, ask yourself, which quarterback do you trust? And ask yourself, do the Broncos want to see the Chargers in two weeks?